Drew Griffin is a correspondent for the investigative unit of CNN/U.S. Based in CNNs world headquarters in Atlanta, Griffin joined the network in May 2004 after working as an investigative reporter for CBS 2 News in Los Angeles for 10 years. Griffins wide-ranging expertise includes coverage of politics, as well as sports, corporate, and government investigations. His recent investigations have included how gerrymandering and so-called Super Pacs are impacting the election process, and how some medical residents are cheating on the medical board certification tests for radiologists. In September 2005, Griffin traveled to New Orleans to cover the aftermath of Hurricane Katrina. His reporting about the looting by some New Orleans police officers led to a police force investigation. He also broke stories surrounding nursing home deaths in the wake of Katrina. Griffins work as an investigative reporter has taken him across the world enabling him to cover a famine in Somalia, illegal drift net fishermen in Singapore and Los Angeles gang members in El Salvador. He has interviewed U.S. and Russian presidents. Griffin reported from New York City for CBS 2 News after the Sept. 11 terrorist attacks and from Israel to cover the war on terrorism. Before joining CNN, Griffins series of stories on the breakthrough research being performed in reversing Alzheimers disease, earned him the Associated Press Television-Radio Association Bill Stout Award for Enterprise Reporting. Griffin has also won three Los Angeles Emmys, nine Golden Mikes, an Investigative Reporters and Editor's award for exposing an underground medical network in Los Angeles, a regional Edward R. Murrow Award for exposing fraudulent soliciting at Los Angeles International Airport and numerous other investigative reporting awards from the Associated Press, the L.A. Press Club, and the Radio and Television News Directors Association. Griffin began his reporting career as a reporter/cameraman for WICD-TV in Champaign, Ill. Since then, Griffin has worked in Florida, South Carolina and North Carolina and Washington. He became an investigative reporter when he joined KIRO-TV in Seattle. 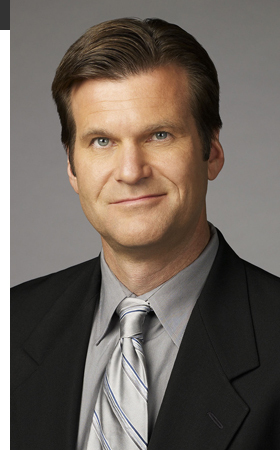 He joined CBS 2 News in Los Angeles in January 1994, where he worked as a reporter and anchor and helped create the stations investigative reporting team. Griffin earned a bachelors degree in communications from the University of Illinois at Urbana-Champaign.